What a fabulous and awesome read! I started this last night and finished it later today. I couldn’t let this go and it was a complete page turner for me. The characters are very well written and I absolutely loved Fay, Danny, Stan and Lija. Especially Lija, with her foul mouth but the one solid presence in Fay’s life and always there for her no matter what. The non likeable characters such as Miranda, Anthony and Edie are good written, so much so that I really disliked them haha! Feeding off Fay as the good girl Fay is, Miranda I really detested till the very last page of the book, I can’t believe someone would do that to someone! In the other sense, this book has made me think about a lot of stuff and contains a lot of good quotes and life lessons I will certainly take on board. Now more than ever I believe that books walk into your life on the right times on the right moments. Take control of your life and your happiness, only you can bring happiness to your life, not someone else. Someone else may enrich your life but happiness should come from yourself, from within. 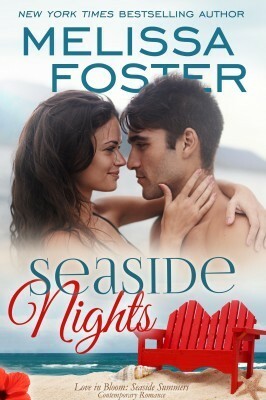 Fall in love with Sky Lacroux and Sawyer Bass in Seaside Nights, the fifth book in the Seaside Summers series! Sky Lacroux has finally realized her dream and opened her own tattoo shop in Provincetown, Massachusetts. She’s happy as can be, renting a cottage in the Seaside community while renovations to her new apartment are being completed and preparing the shop for its grand opening. The only thing missing is the one thing she longs for, and has no control over—love. Sawyer Bass, a professional boxer, plays his guitar to escape the painful reality of his father’s failing health and a recent health warning of his own. But when he spots a stunning brunette across the room, escaping reality goes out the door—and the beautiful woman becomes the focus of his next song—and maybe even the rest of his life. When Sawyer walks into Sky’s tattoo shop and sees the woman from the bar—Sky—the chemistry between them is instant. Sawyer is everything Sky could ever hope for in a man. He’s honest, loving, sensitive, and potently virile—but boxing goes against everything Sky believes in. The closer they become, the more she realizes that her alpha boxer is waging his own emotional battle—only the battle she thinks he’s waging isn’t the one that threatens to tear them apart. Visit Melissa on social media. Melissa enjoys discussing her books with book clubs and reader groups, and welcomes an invitation to your event. After the death of her husband in Afghanistan, Kate Hemingway’s world collapses around her. Her free time is spent with a charity for teenage girls, helping them mend their broken lives – which is ironic, since her own life is fractured beyond repair. Reserved, upper-class journalist Paul Farrell is everything Kate and her teenage charges aren’t. But when Paul agrees to help Kate with her charity, he makes a stunning revelation that changes everything, and leaves Kate torn. Can she risk her son’s happiness as well as her own? Helena Fairfax was born in Uganda and came to England as a child. She’s grown used to the cold now, and these days she lives in an old Victorian mill town in Yorkshire. After many years working in factories and dark, satanic mills, Helena began writing full-time. 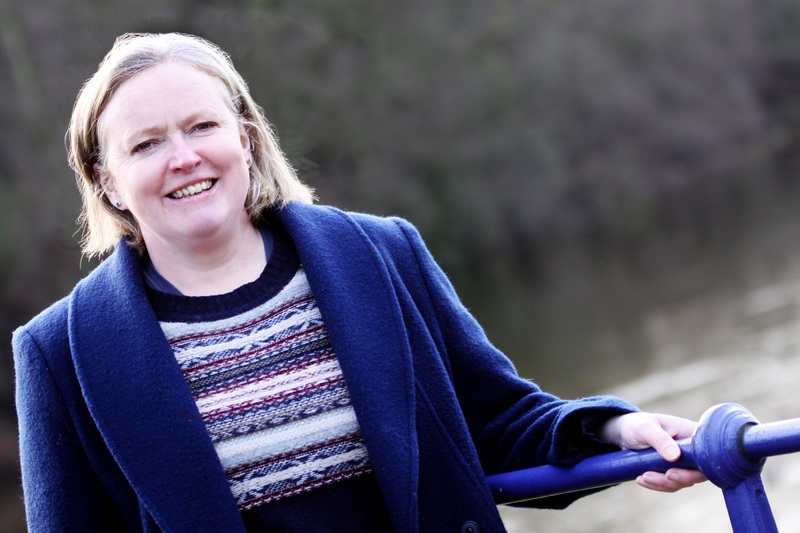 Her first novel, The Silk Romance, was a contender for the RNA’s New Writers’ Scheme Award and a runner-up in the Global Ebook Awards, and her work in progress has been shortlisted for the Exeter Novel Prize 2015. When not writing, she walks the Yorkshire moors every day with her rescue dog, and finds this wild landscape the perfect place to dream up her stories. Fay Merryweather runs her cake shop from her beautiful garden. She whips up airy sponges and scrumptious scones, while her customers enjoy the lovely blossoms and gorgeous blooms. Looking after the cake shop, the garden and her cantankerous mother means Fay is always busy but she accepts her responsibilities because if she doesn’t do all this, who will? Then Danny Wilde walks into her life and makes Fay question every decision she’s ever made. When a sudden tragedy strikes, Fay’s entire world is thrown off balance even further and she doesn’t know which way to turn. 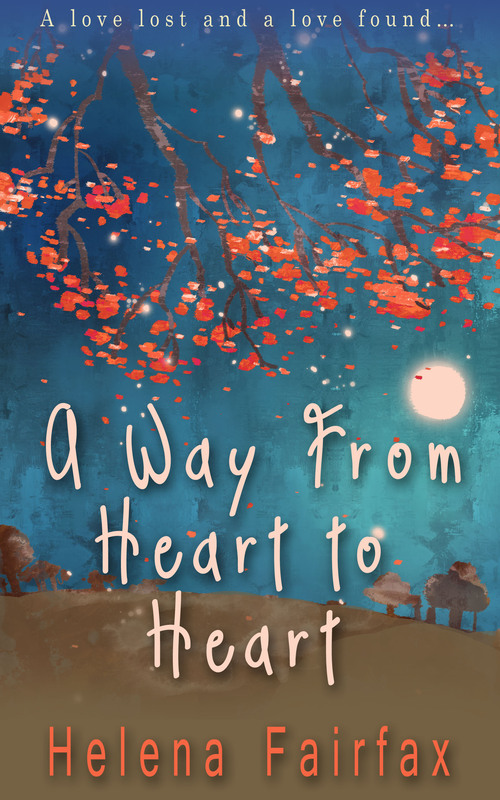 Can Fay find the strength to make a life-changing decision – even if it means giving up the thing she loves the most? 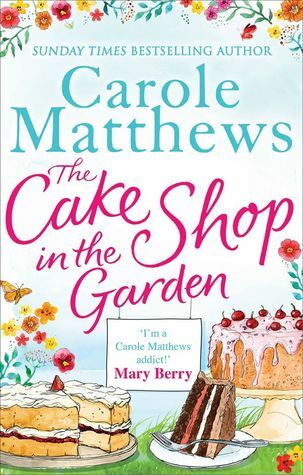 Life, love and family are about to collide in The Cake Shop in the Garden. Disclaimer: I received this book in exchange for an honest review from Little Brown Book Group UK via Netgalley. The characters are very well written and I absolutely loved Fay, Danny, Stan and Lija. Especially Lija, with her foul mouth but the one solid presence in Fay’s life and always there for her no matter what. The non likeable characters such as Miranda, Anthony and Edie are good written, so much so that I really disliked them haha! Feeding off Fay as the good girl Fay is, Miranda I really detested till the very last page of the book, I can’t believe someone would do that to someone! Only one woman could hurt ultra-alpha bad boy Jake Braden. Only one woman can heal him. Fiona Steele has a great career, strong friendships, and a loving family. To an outsider, her life appears happy and fulfilling. But the one thing that’s missing is true love, and the only man Fiona wants is the one she can’t have, sinfully handsome and seductively intense Jake Braden—the man whose heart she broke, which she has regretted ever since. As an LA stuntman, Jake Braden’s at the top of his game. He’s hired for all the best movies, hooks up with the hottest women, and lives an unencumbered lifestyle where his needs come first—and where he doesn’t have to examine his life too closely. Except when he visits his family in his close-knit hometown of Trusty, Colorado, where he spends his time avoiding Fiona—the only woman who knows who he really is. When Fiona’s best friend is hired to act in Jake’s movie, Fiona jumps at the chance to try to win him back. There’s no denying the white-hot attraction burning between them. With every encounter, Fiona hopes Jake can’t resist falling back into the love they once shared. But her well-orchestrated rendezvous doesn’t go over well with the brooding heartthrob. Living in the fast lane is perfect for a guy who’s buried his emotions so damn deep he’s not sure he can remember how to feel—and he’s not sure he ever wants to. I absolutely love any book Melissa Foster writes! The ‘broken’ relationship between Fiona and Jake is beautifully written, how painful it was to read especially in the beginning. I understood were Jake came from and I admired Fiona’s stubborness to make it better. She really put herself out there and that was a brave thing to do. I really fell in love with the characters, Melissa writes really good characters I really feel their emotions dripping off the pages. So real! Love sometimes does conquer all I guess ^_^ True love is never lost, no matter how much distance or time you put between it! I can’t say more without spoiling it, so I would just suggest to grab the book and sit back and enjoy this loveable story! 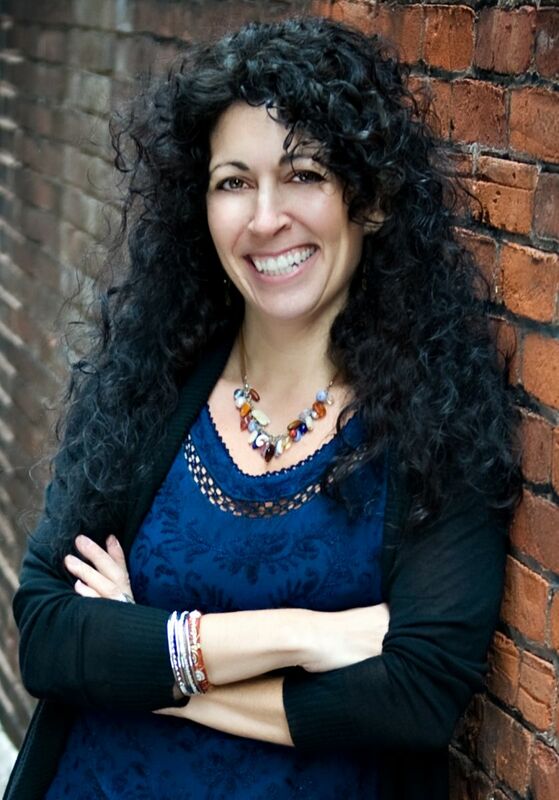 Melissa Foster is a New York Times & USA Today bestselling and award-winning author. She writes contemporary romance, new adult, contemporary women’s fiction, suspense, and historical fiction with emotionally compelling characters that stay with you long after you turn the last page. Her books have been recommended by USA Today’s book blog, Hagerstown Magazine, The Patriot, and several other print venues. She is the founder of the  World Literary Café and Fostering Success. When she’s not writing, Melissa helps authors navigate the publishing industry through her author training programs on  Fostering Success. Melissa has been published in Calgary’s Child Magazine, the Huffington Post, and Women Business Owners magazine.